If we see “religion” as it is practiced nowadays where one group is fighting against an other, then no. But if we see it in the true sense of the word, ‘re-lingere’ which means to re-connect with the Divine then, yes. One can say it is an universal religion because it integrates and explains all religions. One can say it is a spiritual practice. Or a way to come into harmony with the world. Or Self-Reflection. Or simply a way of becoming a better person. All of it is true. Sahaja Yoga is an experience. There are no blind beliefs, no false faiths. You believe in what you experience. But you may find that some of your experiences are extraordinary and hard to explain with the intellect. Do I have to believe in God to be able to practice Sahaja Yoga? No. The name we use for this all-pervading amazing power is not important. 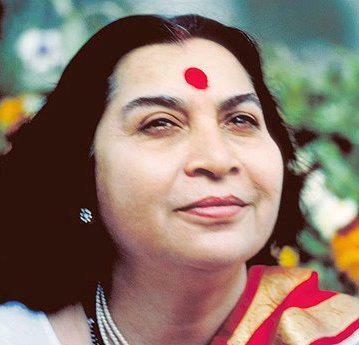 Sahaja Yoga is the experience of connecting with ourselves and everything around us. If you cannot believe in God you might be able to believe in nature, or the universe, or the life force. If you cannot believe in those than at least you can believe in yourself. Your own inner Self is the starting point in Sahaja Yoga. It is your own experience that matters. The authentic meditation experience is neither concentration nor relaxation, nor is it a different way of thinking. It is the experience of mental silence, free of thoughts without putting any effort into it. This can be achieved simply by the awakening of the inner energy, the Kundalini. At its roots, mediation can be traced back to ancient times. Researchers speculate that even primitive societies may have discovered altered states of consciousness and meditative states while staring into the flames of their campfires. Meditation techniques can be found in Indian scriptures dated at five thousand years old. Over thousands of years, meditation evolved into different structured practices and styles, spreading across Asia, its continent of origin. It was only in the 1960s and 70s that meditation became a popular practice in the West. From that point, many variations have spread across the globe. What are the benefits of meditation in my daily life? The benefits gained from meditation include a healthy distancing from the stressful things of life and a trust in that forces that shape your everyday existence. Life can be very demanding. It is important to have both the ways and means to cope. It’s easy to get into a stressful and irritable mood thinking about the pressures of work and family life. There is also a risk of losing focus on all the good things of life. Meditation helps you to witness that which is stressful. It helps you to see things clearly, as if from a distance. How is Sahaja Yoga Meditation different from relaxation, thinking, concentration or self-hypnosis? Sahaja Yoga Meditation is indeed different from all these techniques because it not only relaxes us, not only enriches us with peace, joy and optimism, but it actually transforms a human being, gradually and deeply, into a beautiful and happy individual. This happens without great effort, thought or concentration. We can compare it to a seed which is put into the Mother Earth (representing the awakening of our inner energy, the Kundalini). Only then the seed can start growing and reach its true potential to become i.e. a fruit tree. We all are like this seed with the potential already laid out inside but it has to be activated so that the potential can be manifested. At sunrise, early in the morning is usually the most ideal time to meditate. At that time, one is able to feel the silence within in a complete symphony with nature. It especially works if the person feels well rested after a good, normal sleep. Evening is also a time of the day when we can easily bring ourselves into meditation. In the morning, we feel the need to start our daily routine in a comfortable way. In the evening, we want to find relaxation after having completed our busy day. The exact best time to meditate depends on our lifestyle, our job and the various tasks we are dedicated to every day. Basically, it is more pleasant and useful to meditate with your eyes closed. In this way, your perception of your inner being can be more intense. However, in case you have some unusual sensations, such as your inner body turning around or the seeing of colours, it is highly advisable to open your eyes. These phenomena mean you are either too much on the right or left side and not in the centre. A quality meditation is only possible in the central channel. It is good to give ourselves the time we need to focus and to find that special silence inside. To this end, it is generally best to meditate no less than fifteen minutes. Often the full-time of the meditation will not have the same quality or depth, especially if we have never tried meditating before, therefore fifteen minutes of quality meditation is the goal. In order to achieve a truly meditative state, it is highly recommended to accept and forgive the thoughts which may interfere. Then the real meditation will take place and you will be able to enjoy. When you fill a space with artistic pieces, you create a beautiful room and you feel delighted each time you step into it. Similarly, when you keep a regular place for your daily meditation, you build a conducive atmosphere that eases you into a meditative mood. While there is no strict rule about where to meditate, keeping an assigned meditation area in your home is ideal. Also, attending a group meditation at a Sahaja Yoga centre will strengthen your state of silence. As you grow in meditation, you will find yourself at peace no matter where you are. While sitting cross-legged on the floor for meditation is good, it is not the only way to do it. You do not have to sit cross-legged. Sitting on a chair is fine. Remember that you must be comfortable in the way that you are sitting, otherwise one can get easily distracted and not be able to go into a meditative state. The most important objective in your posture is that your spinal cord should be fairly straight. Can people get by without a teacher? With Sahaja Yoga Meditation you can be your own teacher. The meditation unlocks the knowledge which is within each of us. You will know what is right and what is wrong. You feel what techniques to try and which to avoid. But, at the same time, you will always benefit greatly from the experience of others. Through the group meditation and contact with those who practice Sahaja Yoga, your growth can be accelerated tenfold. We grow through collectivity, humility and surrender. Should I use music while meditating? The distractions of day-to-day life make maintaining our attention extremely difficult. Music is an aid to meditation. While listening to gentle music, we observe a positive shift in our attention. The attention that was involved in worries and problems, now gets subtler and steadier. Meditation thus becomes spontaneous and effortless. Moreover, the ragas and notes of the Indian classical music have been designed to stimulate the subtle energy system within us. By just listening, you can feel an increased flow of vibrations which can take you effortlessly into a deeper spiritual state. What’s a mantra and do I need one? The word “mantra” is derived from the root word “man” meaning to think or to meditate. A mantra is that which is uttered in meditation. It is the phonetization of vibrations into specific sounds, which have a direct effect on the inner being. When a realized soul utters a mantra, he or she mediates the spiritual energy for the specific purpose for which the mantra is intended. Mantras are most effective whilst sitting in meditation. During meditation, when a problem or a blockage is found in a particular subtle energy centre, mantras can be used to clear them out and achieve the state of thoughtless awareness where a person’s spiritual nature begins to manifest spontaneously. Can I learn to meditate from a book/DVD? You can learn meditation from a book or a DVD, but you have to remember that the book or DVD can only take you up to a point. If you want to grow deeper in your meditation, you will experience more growth by attending a Sahaja Yoga class. The advantage of a class is hands-on advice from instructors and immediate answers to your personal questions. To get started with Sahaja Yoga Meditation, you need to find a quiet place where you can meditate. You will also need a small table on which you put a lit candle and a picture of Shri Mataji. The elements are used to help us in our meditation. The candle carries the fire which relieves us of our problems. The picture of Shri Mataji is also integral to our meditation. It emits vibrations which the Kundalini recognizes and so it becomes easier for us to meditate. If you choose to sit on the ground, you may need a mat. If you prefer to sit in a chair, make sure that it is comfortable. The key idea is to try to make your surrounding relaxing so that you can meditate peacefully. What will happen when I meditate? When you meditate the most fundamental happening will be that you will feel the cool breeze at the top of your head (the Sahasrara) – or at least on your hands. Some hot or cool sensation might also be felt. The most amazing part of meditation is that you will be in a thoughtless state, which means peace without thought. In this state, you enjoy the present and, through everyday meditation, you will see your worries about the past and future will be reduced. You will become more efficient, alert and healthy as the three nadis and seven chakras are cleaned and nourished – the result of daily meditation. Do I have to make my mind blank? Is there anything difficult about meditation? The only generally known difficulty about meditation is how to get into the meditative state, how to get rid of annoying thoughts. Some techniques, such as forgiving everyone and oneself or watching the thoughts flow and not following them, can be very helpful. Another good working method is to listen to meditative music (such as Indian classical ragas). But when you hear the music, listen not through the ear, but actually by way of the Sahasrara chakra. Self-discipline makes meditation easier. The routine of twice-daily meditation in itself makes meditation easier with each passing day. Yes, children can meditate. Actually, they are the best candidates for meditation because they have much less conditioning and problems that may prevent others from relaxing. Children are able to go “into” meditation quicker for this reason. No lifestyle changes are necessary with Sahaja Yoga meditation, unless they happen naturally without your effort. The lifestyle adjusts itself to the real needs of our body and spirit, making our life truly comfortable and easy. You will find with time that unwanted things just fall away. The best way to learn meditation is to do it. You might say it is on-the-job training – learning by doing. It is like learning to walk. Hearing others describe it or observing their footsteps does little to accomplish the task. Meditation is something we all know how to do. It is inside us like breathing or sleeping or walking. If you have the desire to be peaceful, to be centred and silent and to be in the present, you can meditate. You will be in mediation before you have time to think about it. It is your desire that is the key.